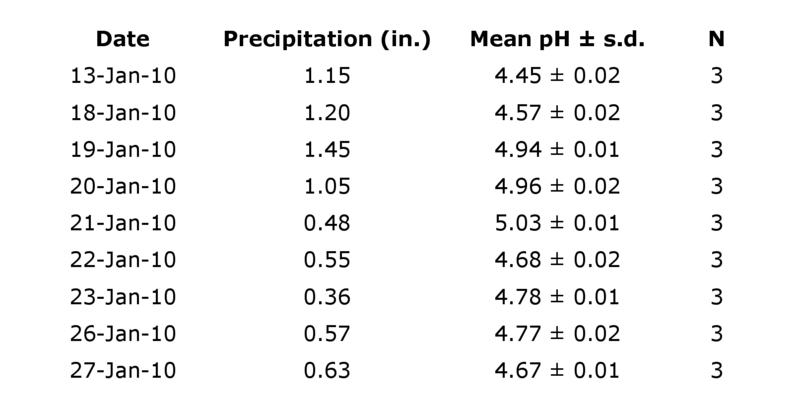 I’m noticing that when the storms are particularly windy the rainfall pH seems to be higher (less acidic) than other rainstorms with less wind. I don’t have any data to verify this, but it’s something I plan to pay more attention to in the future. Could this be due to all the particles blown off the surrounding trees? Or from sea spray? Dunno. 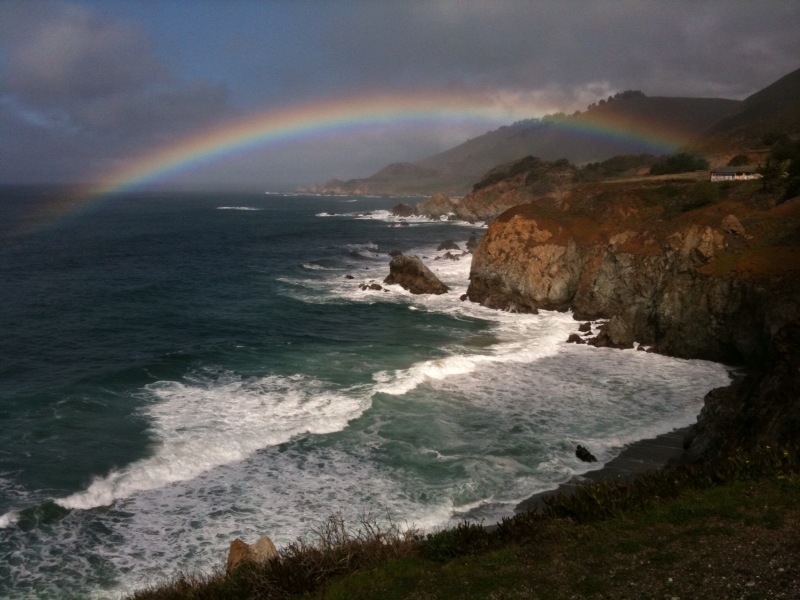 Still, the majority of the rainfall events here in Big Sur are acidic as they have been for several years (see here, here, and here) and folks should be wondering why . 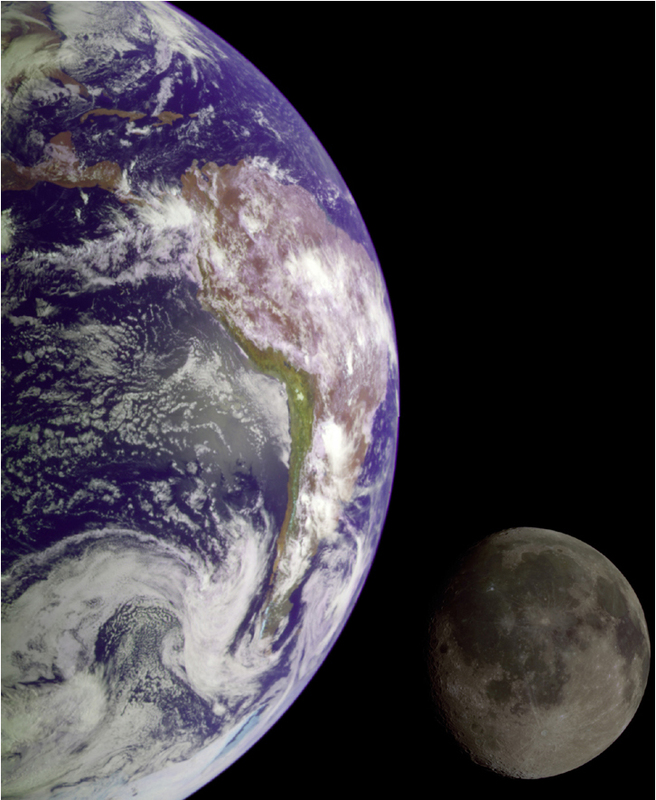 . .
Last evening I presented a seminar at the University of California at Santa Barbara titled “Gaia theory and climate change“, which seemed to be very well received by students and faculty. In the talk I gave a synopsis of Gaia, the theory that the earth is a living system and discussed the implications of a living earth view in issues of climate change. Much of the talk was dedicated to a critical examination of global warming models and data. The powerpoint presentation of the talk can be downloaded here (18.4 Mb). Thanks to Dr. Lisa Stratton and Dr. Mark Holmgren for helping with arrangements for this seminar. 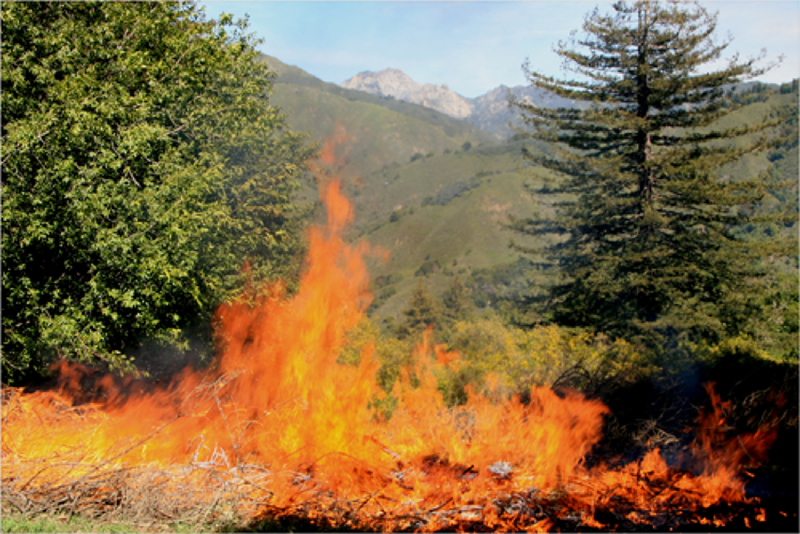 Last week I checked up on several coast live oaks in Palo Alto that were treated with fire mimicry two years ago. Check out the results below. Today I was examining some coast live oaks that were treated last year with fire mimicry in Toro Canyon near Santa Barbara. 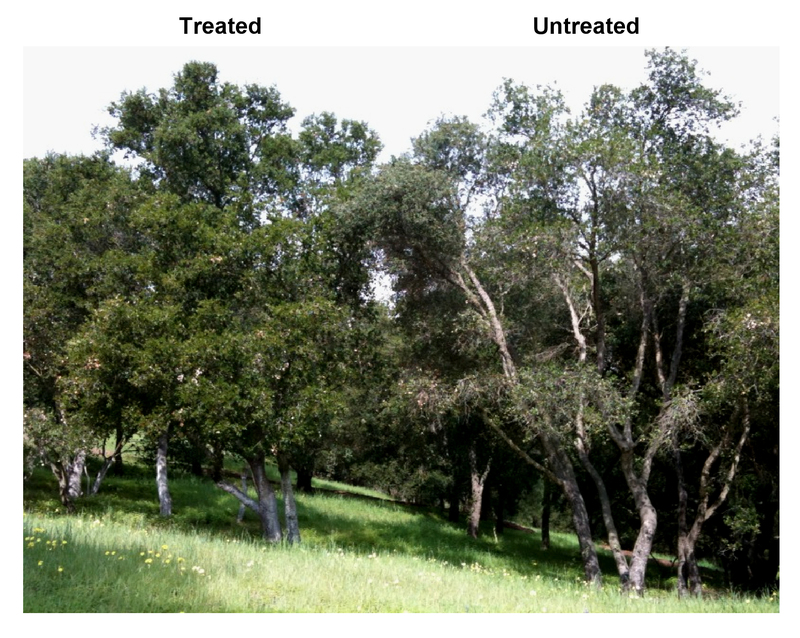 I came across the example below where there were both treated and untreated oaks growing next to each other. The photo I believe is self-explanatory. As you can see there is no reason why we can’t have healthier oaks here in California. To see images of the oaks before they were treated check out my earlier post Toro Canyon oaks.